Unreal, I know. 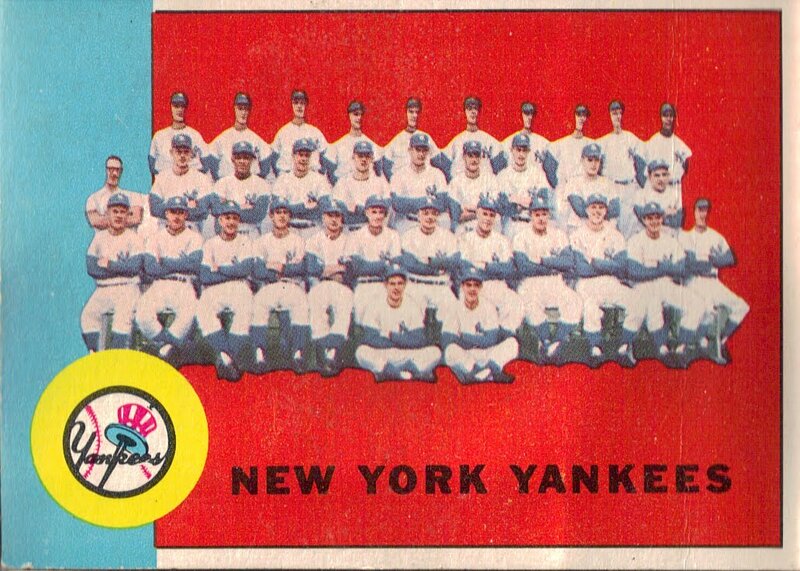 This 1962 New York Yankees team card, along with 27 others from the same era, were handed down to me from my dad’s good friend Neil Wernick a couple weeks ago. A huge thanks to Neil that cannot be expressed in words for passing these down to me. 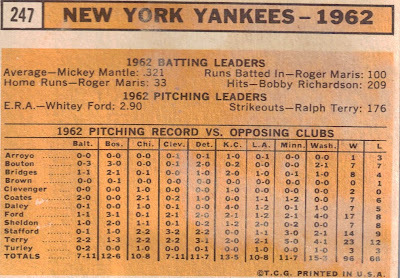 The back of the card, a 1963 Topps, lists the batting and pitching leaders, and each pitchers’ record against each team (below).